Are you getting married in Oxfordshire? Are you looking for a wedding photographer that offers a unique and artistic perspective on your day? You have come to the right place. Zaki Charles is one of Oxford’s most renowned Wedding Photographers. Using his creative signature style, Zaki creates images that celebrate your individual personalities, images that you will want to display as artwork in your home. Few couples want their wedding photographs to look like those of their grandparents. Long gone are the days of stiff, awkward group photos. As a professional wedding photographer, Zaki wants his photographs to be informal, candid, natural: be modern and yet stand the test of time. He aims for the best quality possible, using only state of the art professional equipment and lighting. Zaki Charles Photography will document your story using a modern style and technique that has been refined over years of experience. Zaki Charles is based in Oxford but travels the UK and even worldwide with his dedicated team, capturing their clients’ most important and unforgettable memories. Zaki Charles Photography continues to grow and re-invent their approach to photography so that every image they create will stand the test of time. Please check out our portfolio page to view examples of our work! View examples of some some beautiful weddings we have captured over the years. Learn more about what makes Zaki Charles Photography unique. Choosing your wedding photographer can be tricky because unlike the florist, or the DJ, we are not just sharing some of your day, but capturing those cherished moments for a lifetime. Your wedding photographer should be an industry expert, ready to help even in the early stages when you are still planning your wedding. You are working with someone who will be with you and your whole family, from start to finish. No pressure then, right? 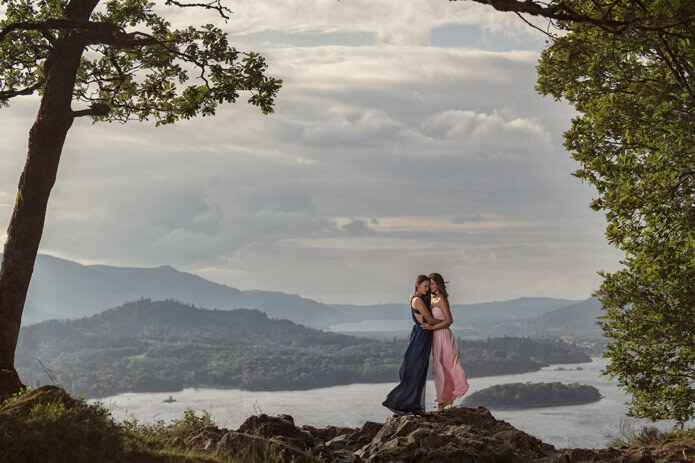 An engagement session is so important, that’s why we include it in all of our collections. An engagement session allows you to get comfortable in front of the camera, and get to know the team better! This means on your big day we are able to get the very best pictures of you, as you know what to expect and trust us to capture your day beautifully. Anytime you step in front of our camera we want to create artwork for your home, not just pictures that document a moment, our engagement sessions are no different. With our signature style, engagement sessions with Zaki Charles Photography are epic! Check out some of our recent blog posts! A first look is a meeting between the bride, groom and the photographer before the ceremony. It is a fairly new tradition which was popularised in the states but has many benefits. In this post, we help you decide whether or not a first look is right for you! Just got engaged? Congratulations! Now is the time to find an awesome wedding photographer, but how do you know who is the best choice for you? Click here to find out how. Black Park engagement session. See how we utilised the park to create one-of-a-kind images! Engagement photographs around London City by award winning photographer, Zaki Charles.